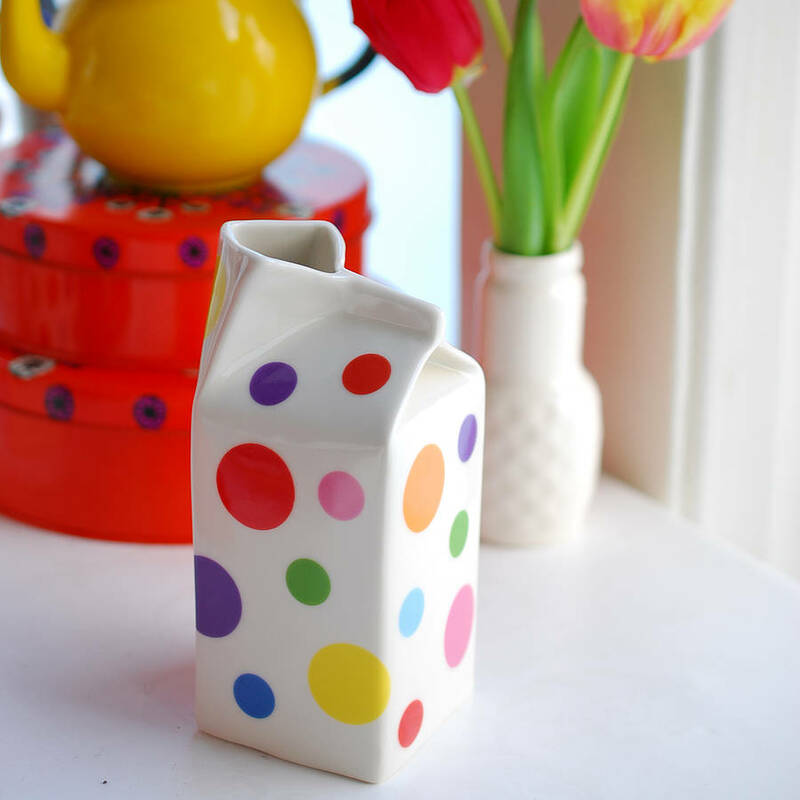 A new take on the classic polkadot design milk jug in Hanne Rysgaard's handmade porcelain collection. 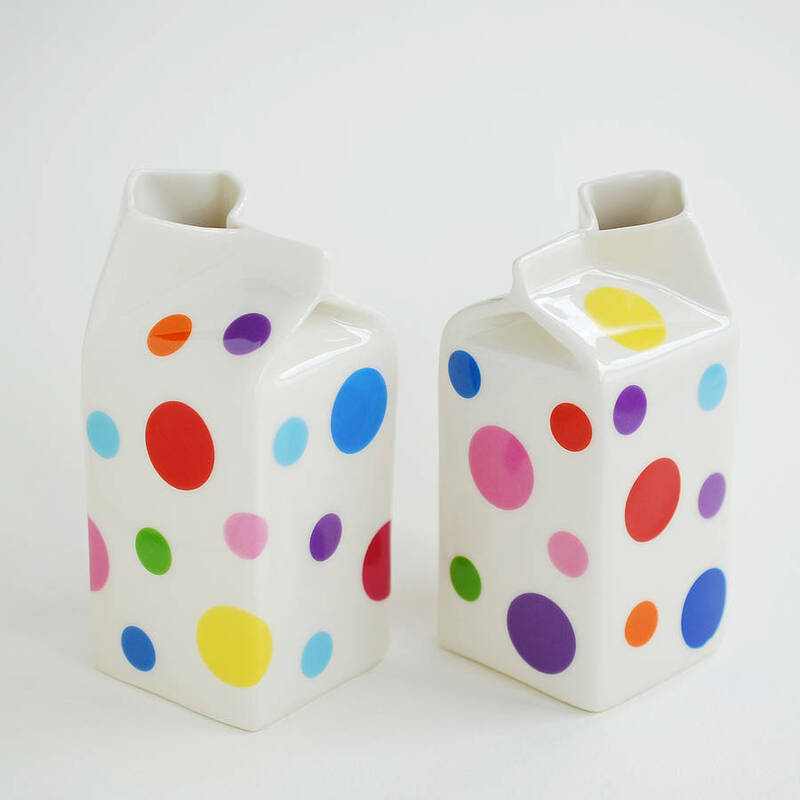 Iconic carton shaped milk jug with a mixture of bright and cheery polkadots in different sizes. Bringing both fun & function to the dining table , it's such a perfect mixture of contemporary and classic design. 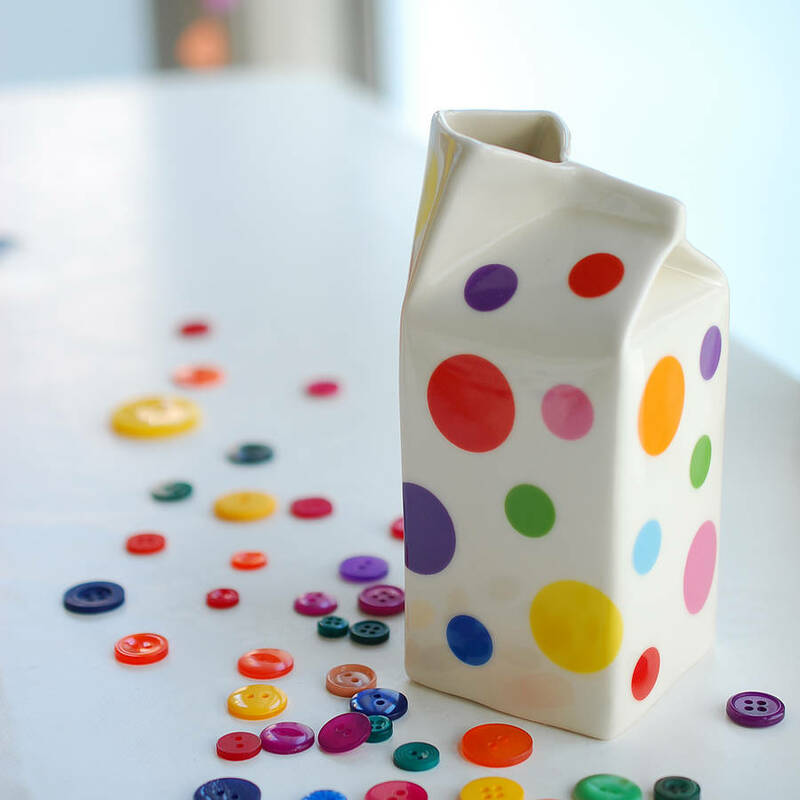 This milk jug makes for an ideal and very useful present for all those people who dislike milk served directly from the plastic container. So look no futher for your mum's next present - she will love this one and enjoy using it every day! Additionally the milk jug is also great for your breakfast in bed tray on those long lazy Sundays. This item is hand decorated so yours may vary slightly from those shown here. Dishwasher , fridge and microwave safe. 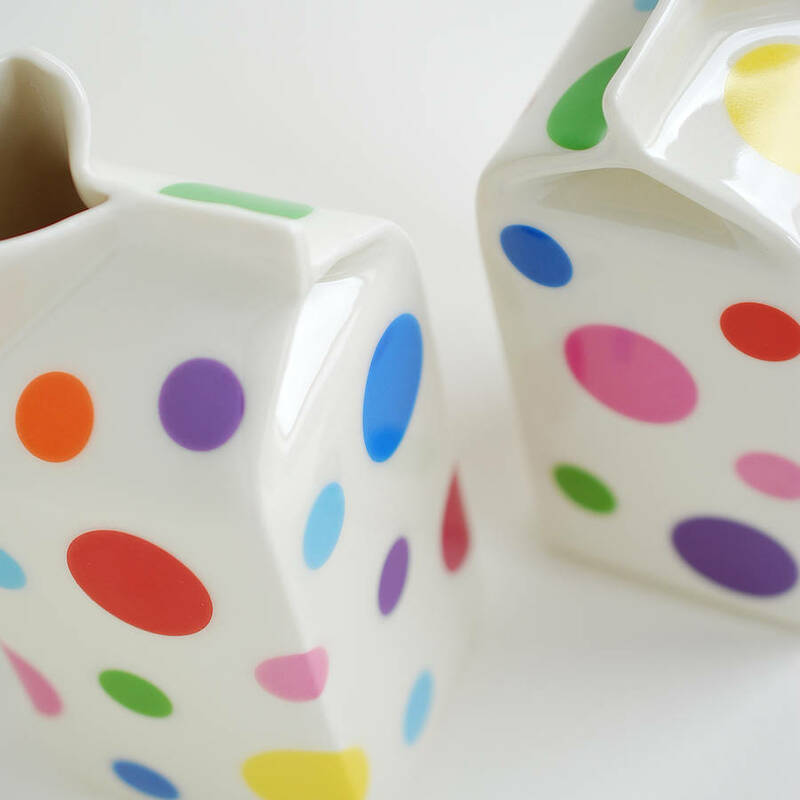 This product is dispatched to you by Hanne Rysgaard Ceramics.